Have you ever ate cereal in orange juice? Do you guys like cereal? I like some cereals, but some are yucky. 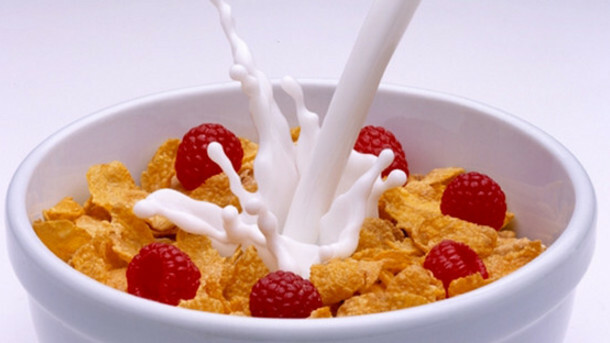 It is common sense to eat cereal in milk. A few weeks ago, when I was in a winter camp, I ate cereal in orange juice. There was always some cereal in breakfast. And I was so tired of eating cereal with milk. One day, I tried a new idea. My friends said I was crazy, but after all, it is only an experiment! I tried my first mouthful. The sugar in the cereal and the sweetness in the orange juice met and made a wonderful new taste. It tasted like some kind of medicine adults try to make taste like orange juice, and then make kids eat it. I ate half of the strange cereal mixture, and then stopped. How can I possibly finish it? But the guy who looks at students' dishes was a bit strict. So, I pretended to be a bit sick. I coughed a little, and tried to look as dizzy as I can. Then I ran to drink a lot of water. "Never eat cereal in orange juice unless you terribly want to!" I was your room-mate, Seung Yoon a.k.a Witch. I know it was funny, eating cereal in orange juice. Wow, I didn't know that Gaeun Diary was really worth for bookmarking and revisiting.